Dysphagia or disordered swallowing refers to difficulty in moving food and/or liquid safely and efficiently from the mouth to the stomach. People with dysphagia may swallow food or liquid wrongly into the airway. Residual food or liquid may also remain in the mouth or throat after swallowing. Complications of dysphagia include malnutrition, aspiration pneumonia and reduced quality of life (1). Swallowing is not simply a reflex, but a complex neuromuscular process. It involves nerve pathways between the higher centres of the brain and the brainstem, and connections between the brainstem and the muscles of the lips, tongue, pharynx (throat), larynx (voicebox) and oesophagus (food pipe). As breathing pauses momentarily during swallowing, coordination of swallowing with breathing is also essential to prevent food or liquids from entering the airway. As we age, the swallowing system may adapt by adjusting movements and coordination of the muscles in the pharynx and larynx to maintain safe swallowing. However, as high as 15% of elderly persons living in the community may present with dysphagia (2). Age, frailty, chronic diseases and impaired function in daily activities have been identified as risk factors (2). Acute and chronic medical conditions affecting the brain, nerves, muscles and structures of the head and neck, respiratory system or cognition may increase the risk of dysphagia in the elderly. These include stroke, Parkinson’s disease, dementia, cancer of the head and neck, and chronic obstructive pulmonary disease (COPD). They may have cumulative effects on physical and swallowing functions in an elderly person. For instance, a survivor of head and neck cancer after radiation treatment at 50 years old, who has a stroke at 70 years old may present with more impaired swallowing than expected from the stroke alone. The referral rates from doctors to speech therapists for evaluation and management of dysphagia have been rising (3). Locally, between 2008 and 2018, more than 75 % of the adult inpatients at the Singapore General Hospital referred for swallowing assessment were above 60 years old. A third of these elderly patients were above 80 years old. The number of referrals in these age groups had increased by 2.4 times during this period. Resources are needed in acute and community settings to cope with this increase. Dysphagia should be assessed and managed with a multi-pronged approach to minimise complications of malnutrition and aspiration pneumonia, and to optimise quality of life (1). To evaluate swallowing function, speech therapists may conduct examinations such as fluoroscopy or endoscopy to determine aspects of the impaired swallow that can be compensated (e.g. by changing food texture and liquid thickness) and improved through rehabilitation. Rehabilitation of swallowing may include exercises of the throat muscles and practicing swallowing with greater effort to strengthen and coordinate swallowing movements. 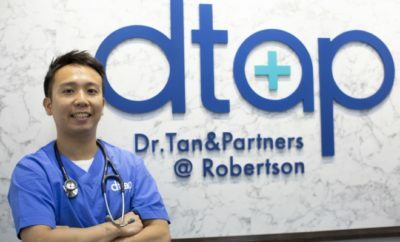 Patient and caregiver compliance in carrying out rehabilitation exercises, as well as accurate modification or diet or liquid textures, feeding rate and volume are crucial for the patient to consume food and drinks more safely and efficiently. Dietitians also play an important role in assessing nutritional status and optimising the nutritional intake of patients with dysphagia (4). 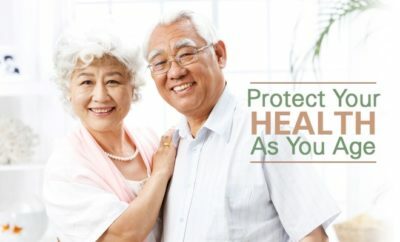 Maintaining good oral heath through regular brushing, mouth cleaning and dental visits, even in patients who are fed by tube, can reduce the risk of aspiration pneumonia (5). A collaborative approach will enhance care of the elderly person with dysphagia in the community and minimise hospital re-admission due to complications of dysphagia. 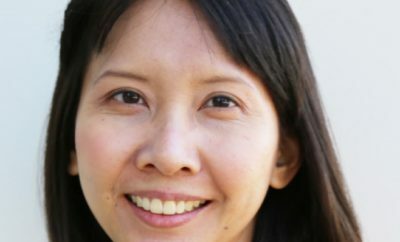 Dr Wong is a Principal Speech Therapist with the Speech Therapy Department within the Singapore General Hospital. 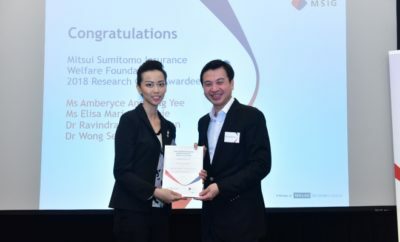 She was recently awarded a grant by Mitsui Sumitomo Insurance Welfare Foundation (MSIWF), the non-profit arm of Mitsui Sumitomo Insurance Group (MSIG), for her research to develop an automatic beverage thicken device for elderly individuals with swallowing impairment. This year marks the 12th year of this MSIWF grant since its inception in Singapore. To date, the Foundation has supported a total of 46 projects with a value of over SGD440,000. 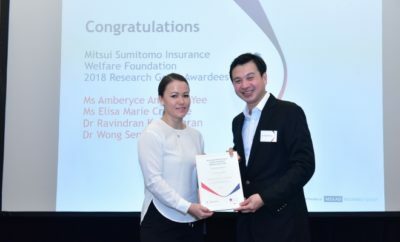 Founded in 1975 by Mitsui Sumitomo Insurance in Japan, Mitsui Sumitomo Insurance Welfare Foundation (MSIWF) advocates for budding and inter-disciplinary research focused on the growing ageing population and the rising concerns over traffic safety in Asia. 1. Baijens LW, Clave P, Cras P, Ekberg O, Forster A, Kolb GF, Leners JC, Masiero S, Mateos-Nozal J, Ortega O, Smithard DG, Speyer R, Walshe M: European Society for Swallowing Disorders – European Union Geriatric Medicine Society white paper: oropharyngeal dysphagia as a geriatric syndrome. Clin Interv Aging 11: 1403-1428, 2016. 2. Madhavan A, LaGorio LA, Crary MA, Dahl WJ, Carnaby GD: Prevalence of and Risk Factors for Dysphagia in the Community Dwelling Elderly: A Systematic Review. J Nutr Health Aging 20: 806-815, 2016. 3. Leder SB, Suiter DM, Agogo GO, Cooney LM, Jr.: An Epidemiologic Study on Ageing and Dysphagia in the Acute Care Geriatric-Hospitalized Population: A Replication and Continuation Study. Dysphagia 31: 619-625, 2016. 4. Carrion S, Roca M, Costa A, Arreola V, Ortega O, Palomera E, Serra-Prat M, Cabre M, Clave P: Nutritional status of older patients with oropharyngeal dysphagia in a chronic versus an acute clinical situation. Clin Nutr 36: 1110-1116, 2017.